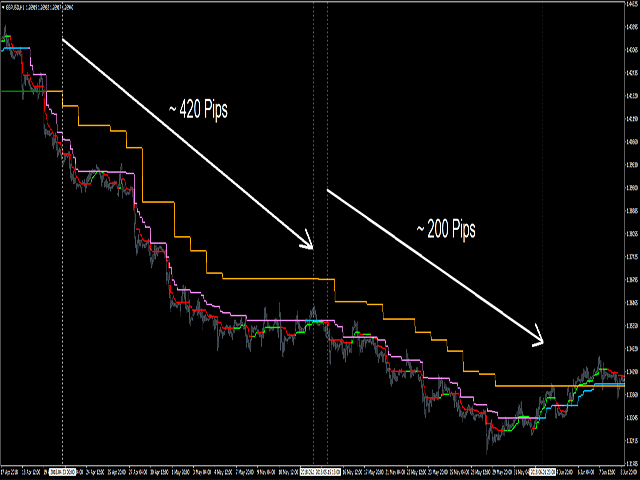 "DigiPipsFX Tiger Jump" is a Multi Time Frame indicator which helps you to boost you profits. 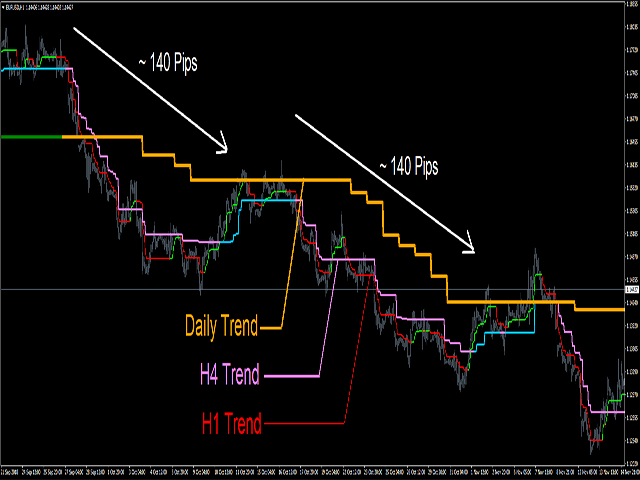 As shown, you can add this multi time frame indicator to you H1 chart (or any other time frames as you wish) and detect the proper time for entry. Default settings are recommended. 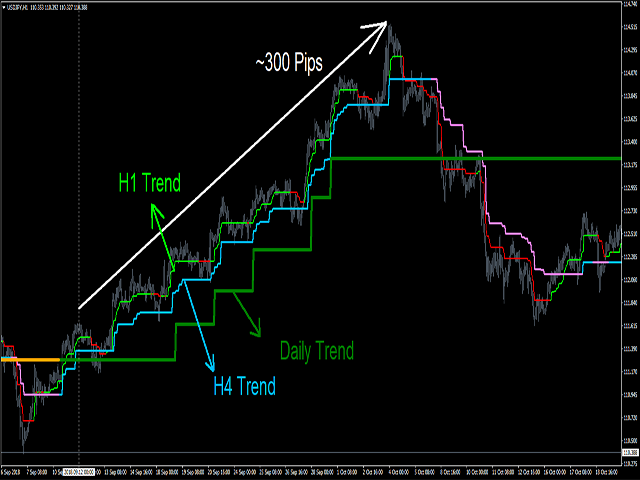 When all time frames show same direction of the trend, you can take your Buy or Sell positions. 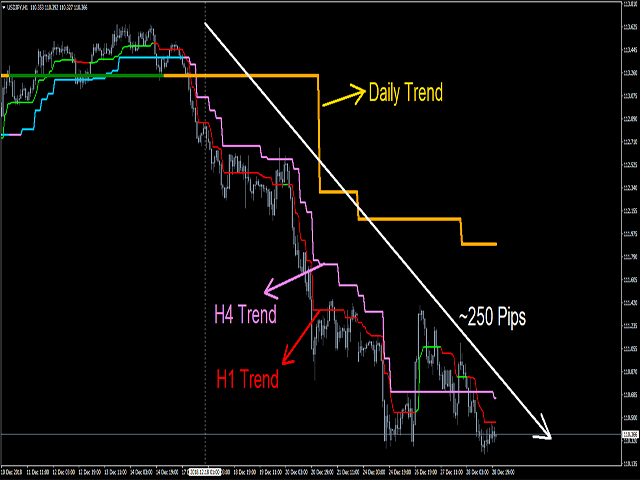 While the main time frame (H1) or middle time frame (H4) changes direction, you can exit and wait for a new setup. If there is any questions, please do not hesitate to send me a direct message. Note: If your chart and the indicator's line is messed up, don't forget to update all time frames of your chart and refresh them.